A potent chewable multi-vitamin formulated for children. Free of common allergens. Gluten and casein free. Ultra Tested®. 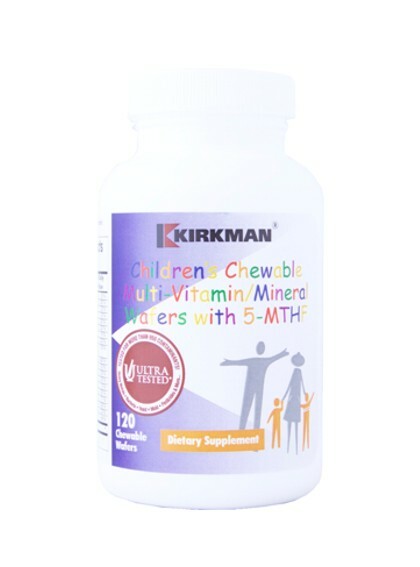 Kirkman’s Children’s Chewable Multi-Vitamin/Mineral Wafers are a potent, all-purpose vitamin/mineral supplement formulated for children to support their good health. Assists digestion, particularly dairy products and cereal grains. Free of common allergens. Gluten and casein free. Capsules are plant based. Ultra Tested®.